We provide complete Climate Control and Air Quality services including indoor pool humidity control for your commercial or residential indoor pool rooms. Selecting the right pool dehumidification solution is critical to its long and lasting performance. Whether you are in need of a commercial dehumidifier or a residential one, matching an application to your exact requirements is key to getting optimal value and satisfaction. Width and length of pool. 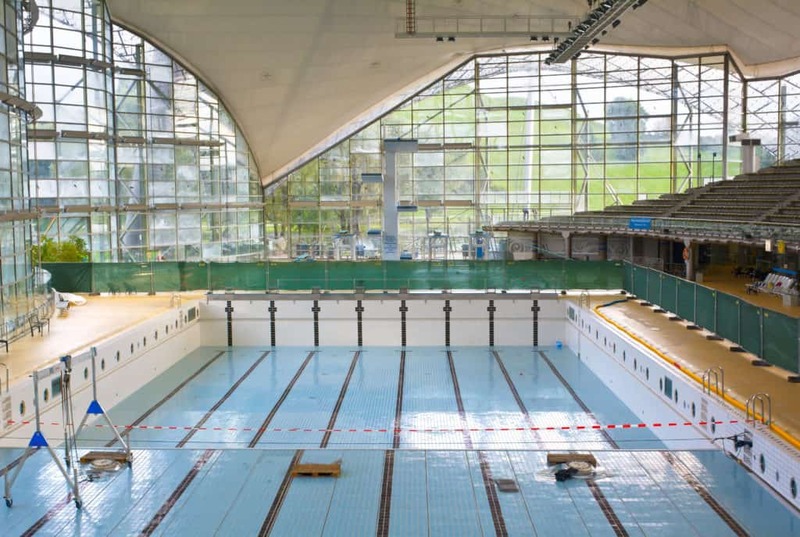 Note that indoor pools in a commercial and residential space also have very different requirements. An experienced pool dehumidification service will tell you what to look for and help you select the right system. H&H Commercial Services, Inc. is well known in Philadelphia and the surrounding areas for its top of the line commercial dehumidification systems and stellar customer service. Only the most reliable and high performance dehumidification and air quality systems (e.g. Desert Aire, PoolPak, Dectron,.) will do for our customers. We pride ourselves on quick response. A high quality air quality system can help you prevent mold and bad odor while reducing the risk of corrosion and structural deterioration. We provide professional consultation and installation for pool room heating and air conditioning solutions for your commercial or residential indoor pools. Call H&H Commercial Services, Inc. today at 610-532-8745. We will help you select the right climate control or dehumidification system for your commercial or residential building. As with any HVAC system, sizing, installation and calibration impacts the performance and effectiveness of your indoor pool dehumidification systems. With H&H Commercial Services, Inc. you have the assurance that your dehumidifier is set to meet your specific requirements. You will have an experienced team to help you choose the correct application. Our technicians are factory-trained and committed to getting the job done right. We have a wide range of pool dehumidifiers to meet your requirements. All our products are known for their top quality and performance. We also provide skilled maintenance and repair services to keep your dehumidification system in optimal working condition. Let us know what type of pool your building has! We can reduce your pool room energy costs by controlling humidity and temperature with the right system. Contact us now at 610-532-8745 for top-of-the-line commercial indoor pool dehumidifiers. We serve customers in Philadelphia City and the Tri-State Area.